Finra has barred a former LPL Financial broker for refusing to provide information on whether he had received loans from his clients while registered with the firm, the regulator says. James Bylenga had been with LPL for a little over two years when the firm discharged him last August over "[c]oncerns over [his] advisory fee structure,” according to a letter of acceptance, waiver and consent published by the industry’s self-regulator. In October, LPL amended Bylenga’s Form U5, saying it initiated an investigation to assess whether he had “received loans from his client(s) while associated with the Firm,” Finra says. The regulator started its own investigation based on the amended form in November, but the following month Bylenga, through his lawyer, said he would not provide the documents requested by Finra, for which the regulator barred him from the industry, according to the letter of consent. 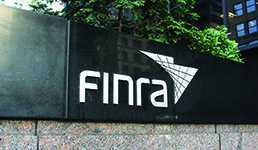 Bylenga agreed to the bar without admitting or denying Finra’s findings, the regulator says. Bylenga began his financial services career in 1980 and had been registered with five firms before joining LPL in 2016, according to his BrokerCheck profile. In addition to the Finra bar, Bylenga has two other disclosures on his record: one from 1989, in which he consented to a $3,000 fine and a censure from Finra forerunner the National Association of Securities Dealers, over allegations that the aggregate price on certain municipal securities “was not fair and reasonable,” and a customer dispute from November 2018 over allegations of inappropriately-received loans from customers, according to Bylenga’s profile. That dispute was settled for $210,000, which was more than the $175,000 in damages originally requested, according to BrokerCheck. Last week, Finra suspended another former LPL broker over allegations that he failed to notify the company about a private securities transaction that he had structured as a viatical settlement.